Our 81 bedroom hotel is now open. Celebrate with one of our residential packages and experience our luxurious accommodation. 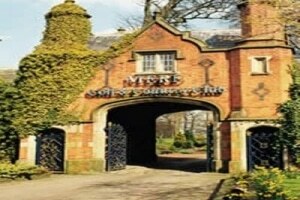 Mere Golf & Country Club’s Cheshire lakeside location is a wonderfully romantic setting for your wedding. Our experienced and helpful team of Wedding Co-ordinators will make sure no detail is overlooked, so you’ll be able to relax and enjoy yourself on your big day. At our Cheshire wedding venue we also offer a varied wedding menu and drinks packages are sure to delight and can be tailor-made to suit your personal requirements. The function suites at our Cheshire venue are all licensed for Civil Ceremonies. We can take care of the entire day, from ceremony, through wedding reception and on to an evening party. Whether a small intimate ceremony or a gathering for up to 500 guests, we can cater for you. Kosher and Asian weddings can also be accommodated. At romantic Mere we will make sure you have a fabulous day to remember. So if you’re looking for the perfect Cheshire wedding venue, have a look at our packages and see how we can make your dream wedding day a reality.